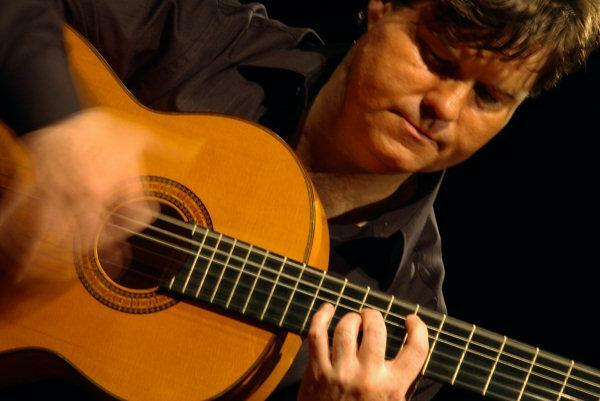 Tomás Jiménez is a professional Spanish Flamenco Guitarist and he gives performances of flamenco guitar music as a soloist or together with Flamenco Dancers and Singers throughout the U.K.
More details on these options are explained in Blog articles on this website. We’d like to express our thanks and appreciation of the superb show you put on for us at our wedding. Guests remarked how beautiful it was to have Tomás playing in the gardens during the ceremony and after; with the sunshine we had it created the perfect atmosphere, exactly what I had imagined! The evening show was another excellent mood setter, so many guests said what a lovely Spanish theme it had and thought María’s dancing was captivating. We loved all the planning/ choosing the music and it was all very special to us. 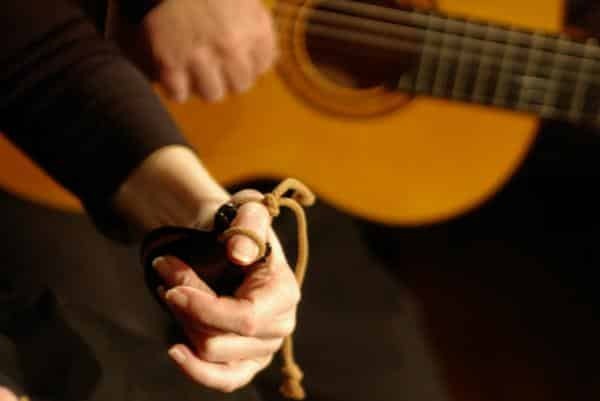 Tomás Jiménez gives solo flamenco guitar recitals and concerts with flamenco dancers and castanet players for parties, weddings, concerts and events. We’re always updating our blog with news, events and our latest information.